The Fashion for Africa project last Saturday had another wonderful fashion competition at Senegambia. 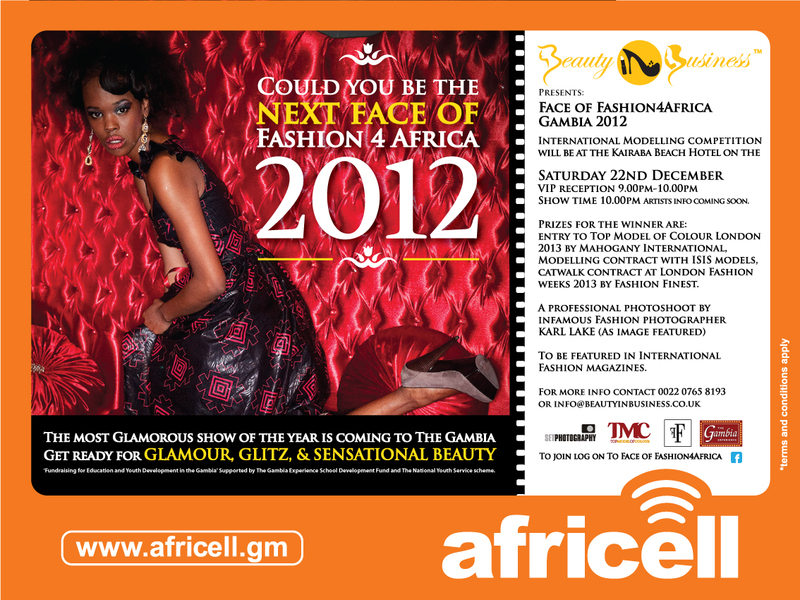 The competition attracted a huge number of participants comprising both gentlemen and ladies all fighting for the next face of fashion for Africa Gambia 2012. The competition which the aims and objectives is to scout designers, help them improve their lives and standard of living has been recognised internationally. Speaking with the project coordinator, Mbenda Mbye, said the project started in the UK backed by CEO Anna Njie, who is based in the United Kingdom. She said the purpose of the project is to nurture and create talents, adding that there are talented people who need extra help to meet the international standard. Mbenda said that at the end of the competition, the winner will undergo a week training to attend the London Fashion Week who will also stand the chance to be featured in magazines. Mbye thanked all the sponsors, such as Afriq Cars, Africell, Gamwater, Social Security and Housing Finance Corporation, Gambia Experience and the Hotel Association for their invaluable support. 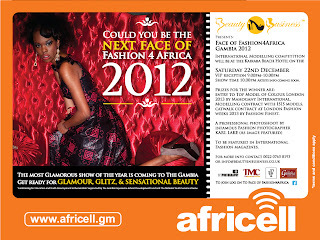 The grand finale of the glamorous show is slated for 22 December.